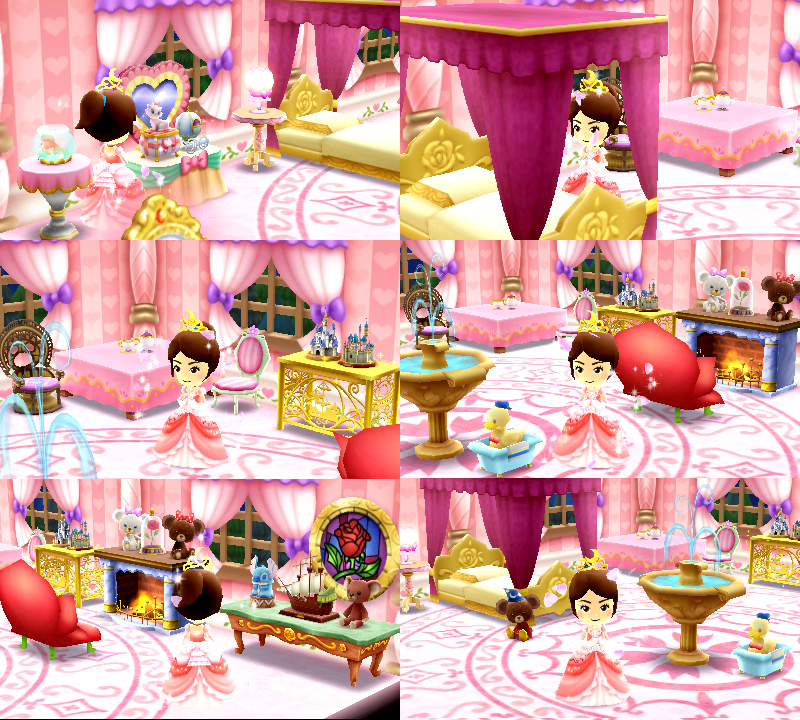 5th set of Nintendo Zone Items out today! 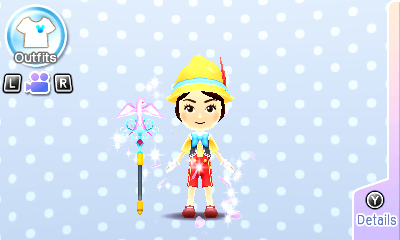 This time, it’s the Pinocchio outfit! 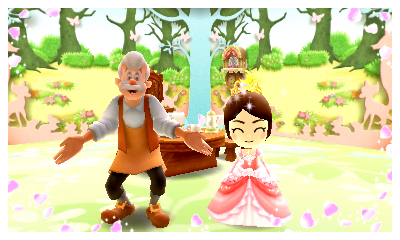 I also held a party and Geppetto finally showed up! There is also a bit of a sub-section for the last one–there’s characters that do not speak (Such as Tinkerbell, Abu and Magic Carpet, and Pluto) who will only appear with the character who can speak for them (Peter Pan, Aladdin, and Mickey respectively). When the character is with another character, you have to do 3 favors for them with that character. So think of it as favors for “Aladdin and Abu” so to speak for it to count. So for example, I have Aladdin normally, but I do not have him with anyone else–in fact, I only have Jasmine when he talks to Jasmine. While not always the case, which character has the photo icon also can depend on where the photo is. Another example is Stitch can appear alone or with Lilo (I’ve never seen Lilo by herself out in Castleton). 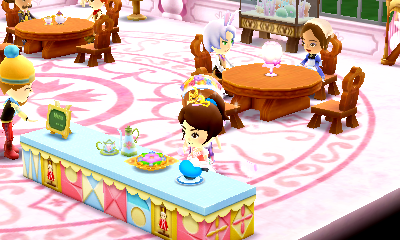 Stitch will take a picture with me in the throne room while Stitch and Lilo take a picture near the shop by the Popcorn Machine. The poses also vary. 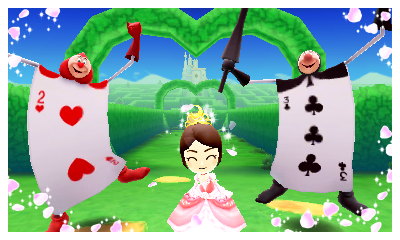 In general, it’s worth it for each outcome for the different backdrops (and occasionally, poses as well). 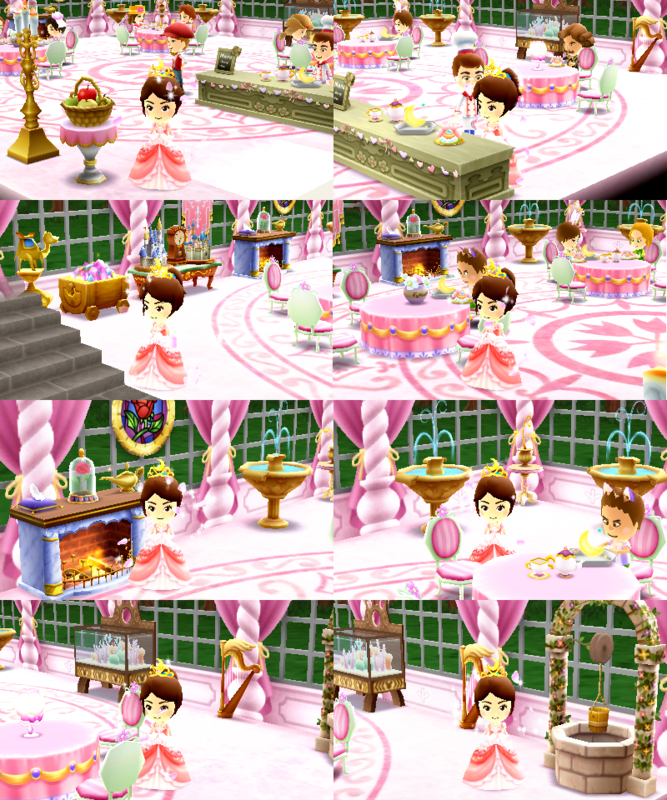 2nd set of Nintendo Zone items are out! This also put me up to two combos with that and matching outs so… 😀 PARTY TIME. I really do love the counter though. So cute. 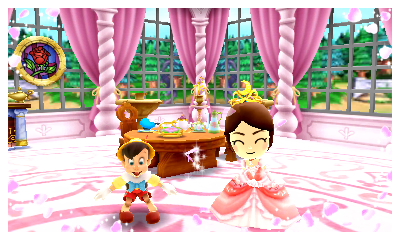 Posted in Daily Playthrough, Disney Magical World | Comments Off on 2nd set of Nintendo Zone items are out!